About two years ago I was on a trip to Cambridge with my boyfriend and I we decided to stop by Lush. I didn’t intend to get anything but one of the lovely girls in the store talked me into testing Aqua Marina. She used a bit of product on the back of my hand and said that it will sooth my skin and even out me skin tone. And surprisingly it did! Let me tell you – the difference was really noticeable!! Needless to say that I purchased this straight away and I’ve been loving it ever since! What I love the most about Aqua Marina is that it not only cleanses my face perfectly but it also brightens up my complexion. After using it my skin looks so healthy, it is soft and smooth and my skin tone is even and there is no redness! Oh, and also my pores appear smaller and my face feels so fresh and cooled! :) After two years of using this I have also noticed that the cleanser also helps with my acne scaring and hyperpigmentation! It has never broken me out too, btw! I also wanted to mention that Aqua Marina has instantly visible effects but they are seen only for a day and if you want long-term results you will obviously need to use it continuously. Well sure the product sounds lovely but sadly it has its downfalls as well. 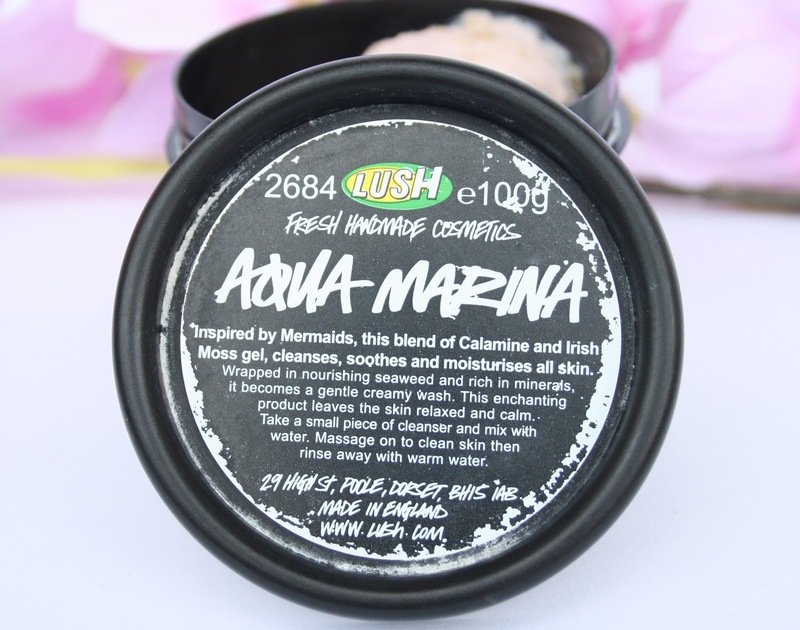 As I mentioned, according to the Lush website Aqua Marina is “perfect for normal to dry skin types”. Well, I will have to disagree with that one. I find that even though the cleanser works wonders in the smoothing / calming department, it tends to be drying. I have normal skin and after washing my face with Aqua Marina it feels dry and a bit thigh. Usually I follow up with toner and moisturizer and it’s fine by me but if you have really dry skin I do not recommend using this. I actually think that if you have oily skin this will help you loads because I find that the product actually keeps the oils at bay! :) Another thing I don’t like about this product is that it’s quite messy to use. It has a bit of gooey texture and it’s a bit difficult to scoop out and transfer into foam. It also leaves white residue around my hairline, which I hate! I am not really fond of the scent too. 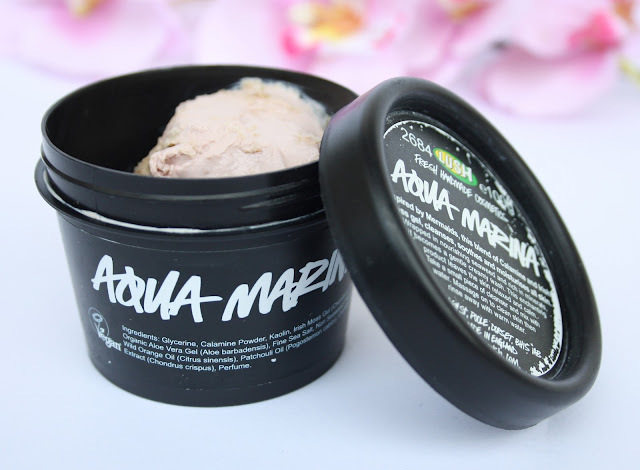 Aqua Marina smells like a mix of Calamine Oil (the product contains calamine powder) and seaweed. It’s quite an odd scent if you ask me, but it reminds me of summer and sea (shocking I know hah), so I don’t mind it that much. 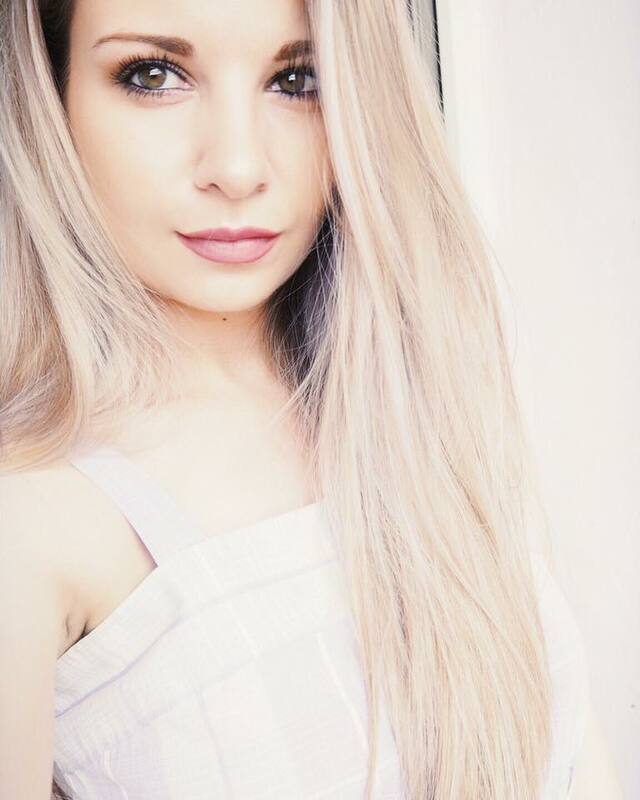 Overall, I am in-love with this product! 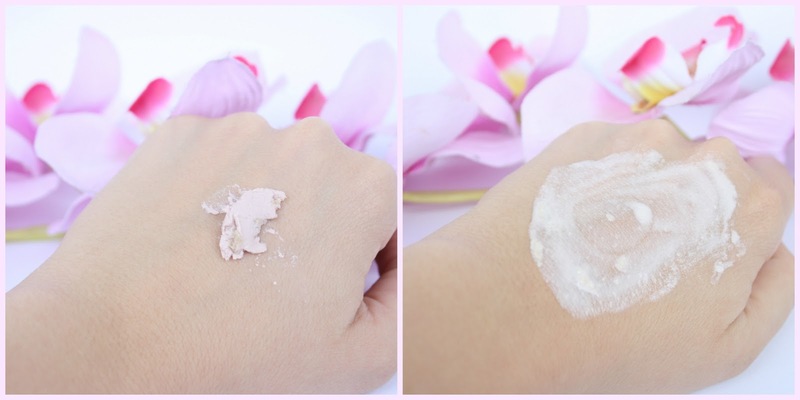 It seriously has improved my skin tons since I stated using it and it is now a firm staple in my skincare routine! I don’t like that it is a bit drying and messy to use but I am totally willing to overlook its flaws cuz of the brilliant job it works on my face. I definitely recommend it, but if you have dry skin I suggest you look at a product that won’t dry your face any further. Nice review.i want to try dis but unfortunately here it is not available.dear can u tel me where can I buy dis from online?? This sounds amazing. I am in love with Lush products and my holy grail facial mask is "Mask of Magnaminty" by Lush. I have loads of uneven skin tone, but I have dry patches. It is disappointing that this product may not be good for those with a drier skin. I will definitely check it out when I go in though. I kind of like the seaweed idea. Ha. I will also have to ask in Lush what products they do for a drier skin. His sounds amazing! My skin has gotten quite bad lately so I try to remember to get some when I next go lush! I really want to try this but my skin is quite dry :/ But everything else seems to tick the boxes haha! 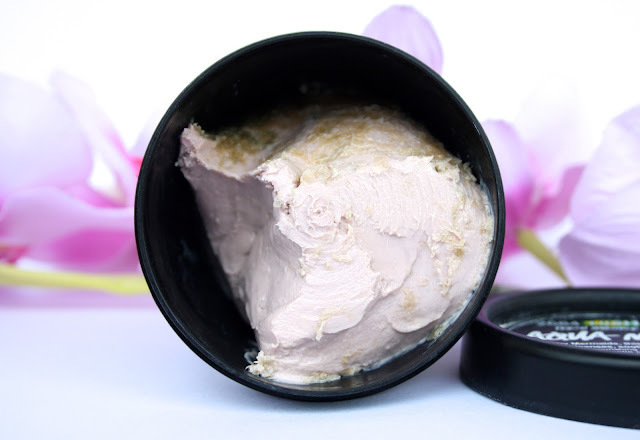 May have to get a sample next time I visit a Lush shop :) Fab review! This sounds like an amazing cleanser. I have never really tried any skincare from Lush. I will definitely look of for this next time I am in Lush. It's great when you find a product that your really love! I love the texture of this, looks so creamy! Wish it was for oily skin! Thanks for the review! I've been using their coal cleansing bar and might try this after that's done (which seems like it will be a long time from now...that stuff lasts forever!. The fact that it might help with acne scars and hyperpigmentation sells me! Thanks for sharing. Do Lush give out samples? I'm tempted to give this a trial before I buy the full shabang. Great review lovely. I was just at LUSH yesterday and picked up a body wash. Can't get enough of their products, thanks for sharing! I used this too awhile back and my dry and sensitive (basically ezcema) skin loved it since it was so calming and it went nicely with the Dream Cream. I think I need to repurchase the this facial wash, I just loved the nori in it. I never tried this one, but lush is soooo amazing! I really want to try this out, it sounds amazing because my skin has recently just been a little... meh. It needs a bit more of a glow so next time I'm in Lush I am going to ask for a sample before I go in for it! Great review! I NEED to try this! It sounds lovely! Will definitely be giving it a go in the future! I need a new cleanser, I'm currently using the simple one but I don't think I'll repurchase it when it runs out. I love lush stuff so I'll check this out next time I'm in there. I might need to go and check this out might pick up a sample sounds lovely. really useful to know you thought this helped with spots, as someone who suffers from sensitive spot prone skin its nice to know this shouldnt exacerbate the problem as i do love how my skin feels after exfoliating. seems like a great product... wanna try that! This looks gorgeous. I may have to try this. This looks amazing. I will deffo pick up a sample next time I am in Lush. I love Aqua Marina, it makes my skin feel so refreshed! great review, now i want to try this!!! Nice review.i want to try dis but unfortunately here it is not available.dear can u tel me where can I buy dis from online?